NIGERIA – In line with the Kaduna State infrastructural development goal, Jema’a local government area said it has spent over N119 million to complete infrastructural projects in the area. Administrator of the local government, Alhaji Mu’azu Usman who disclosed this on Friday at the end an inspection tour to the projects spread across the council expressed satisfaction, saying the projects were aimed to impact on people especially rural dwellers. “The projects were made possible due to the support and determination of the State Governor, Nasir El-Rifa’i who has prioritised rural development and has created the conducive environment for us to execute these projects”. Usman, who commended the sincerity of the contractors of the respective projects said the completed projects were first phase of the developmental strategy for the council, urging communities yet to feel the impact to be patient. “The projects are in phases and we intend to carry every community in Jema’a local government along as no community was more superior than the other. 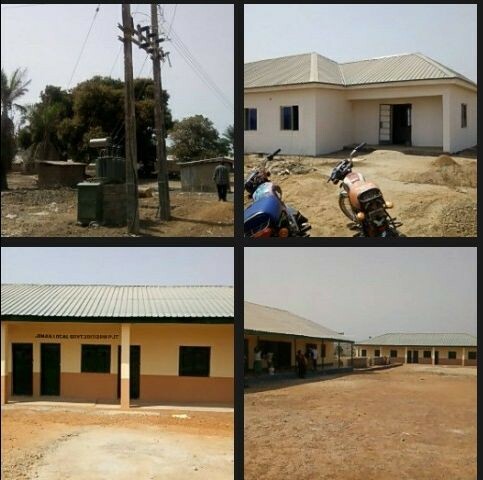 He said under the state government policy of “255”, virtually all wards within the council would be equipped with a functional Primary Health Care (PHC) center adding that, so far, Atuku, Maigizo, Kafanchan B wards had the facility almost at completion stage. Gobroadsheet reports that projects completed included , Zauru road construction, two blocks of classrooms with toilets at LEA Primary school in Billin. Other projects included, rural electrification phase one project at Kitti, electrification and completion of PHC with staff quarters in Ninte, State Independent Electoral Commission (SIECOM) office in Kafanchan, water sanitation and hygiene department of the council and renovation of the burnt council Chairman’s residence in Kafanchan.